The undergraduate programs at Columbia Engineering not only are academically exciting and technically innovative but also lead into a wide range of career paths for the educated citizen of the twenty-first century. Whether you want to become a professional engineer, work in industry or government, or plan to pursue a career in the physical and social sciences, medicine, law, business, or education, Columbia Engineering will provide you with an unparalleled education. The School firmly believes that students gain the most when engineering is brought up front, early in the four-year curriculum. Therefore, each first-year student takes the Art of Engineering, which addresses the fundamental concepts of math and science in an engineering context, as well as nontechnical issues in professional engineering practice such as ethics and project management. Students in the Art of Engineering choose a half-semester, hands-on project in one of the School’s nine undergraduate engineering disciplines, followed by a half-semester general project that changes each year. Depending on the project chosen, students will solder, 3D print, laser cut, simulate, design websites, and much more. These skills are further developed as students progress toward their senior year projects. Beginning in the fall of 2014, Columbia Engineering students will be able to utilize the School’s brand new Makerspace, a collaborative environment where students can learn, explore, experiment, and create prototypes. While pursuing their own interests, undergraduate students are encouraged to participate in a broad range of ongoing faculty research projects encompassed by the Student Research Program. Students can apply for available research positions in Columbia Labs through the Student Research Program website. 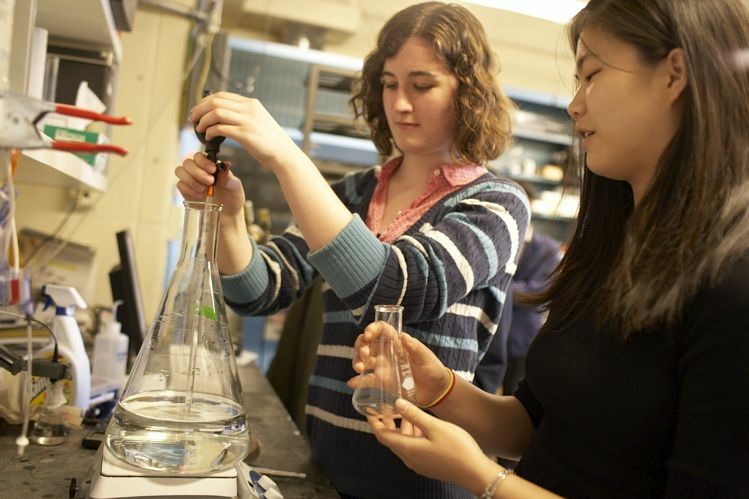 In addition to in-depth exploration of engineering and applied science, Columbia Engineering undergraduates explore the humanities and social sciences with Columbia College students through intellectually challenging Core Curriculum courses taught by the Faculty of Arts and Sciences. These courses in art, literature, music, major cultures, and economics, among others, provide students with a broad, intellectually disciplined, cultural perspective on the times they live in and the work they do. sophomore year. Requirements for the major or minor are in accordance with the bulletin during the year in which the student declares the major or minor.